HOTEL FACILITIES: Bar, Concierge, Laundry, Parking, Restaurants, Disco, Health Club, Swimming Pool, and Conference Room. 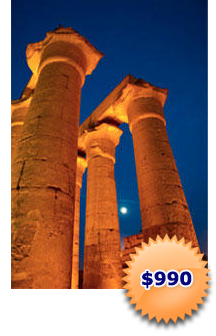 Location: Discover the ancient Egypt at Hormoheb Hotel. 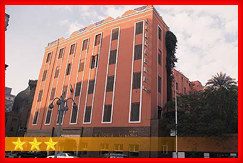 The hotel is located on your way to the main point of the history by passing through Pyramids Road. 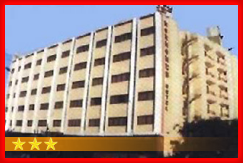 Accommodation: 110 Rooms with air Conditioning, Cable/Satellite, Data Ports/Phone, Mini Bar, TV. HOTEL Facilites: Restaurant -Hor Grill room, Hamis Coffee Shop and Ramis Restaurant. Other facilities Roof sun deck swimming pool, Health club, Macarena Discotheque and Billiards Snooker Pool. 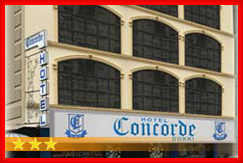 The modern, multi-storey Concorde Hotel Dokki is located in Cairo's business district, one kilometer from the Egyptian Museum and 20 kilometers from the Pyramids of Giza. It has 71 guestrooms over six floors, furnished with rich patterned fabrics, all of which include balconies, air conditioning, mini bars, satellite televisions, direct-dial telephones and safes. Bathrooms feature robes, telephones, hair dryers and complimentary toiletries. The hotel Victoria is a colonial style hotel built in the beginning of the twentieth century in Central Cairo. It is within walking distance to major tourist attractions. The comfortable 90 rooms are all individually furnished. There are 72 double rooms and 18 single rooms; all are equipped with private bathroom, telephone and satellite TV. The air-conditioning is centrally controlled. 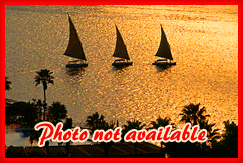 The Hotel President is located on the island Zamalek, in between the two branches of the river crossing Cairo. The Hotel President offers 117 comfortably furnished rooms complete with air conditioning, colored TV with satellite channels, direct dial telephone, radio, and mini bar.